Are you an entrepreneur with a recipe for a product but no way to produce or market it? We offer private label and co-packing services on a limited basis for people with a product idea but no way to produce it. It is best to contact us directly to discuss the options and whether the product fits within our capabilities but here are a few criteria that we consider in order to pursue a business relationship with a potential client. Does the product recipe and process generally fit within the scope of what we already do? Can the prospective client supply or source the necessary raw materials and uncommon ingredients? Does the product have an established market with a real sales history from which to base future sales projections? Product recipe – The longest and most extensive step revolves around making the product and adjusting the recipe until the finished product meets with the client’s approval. 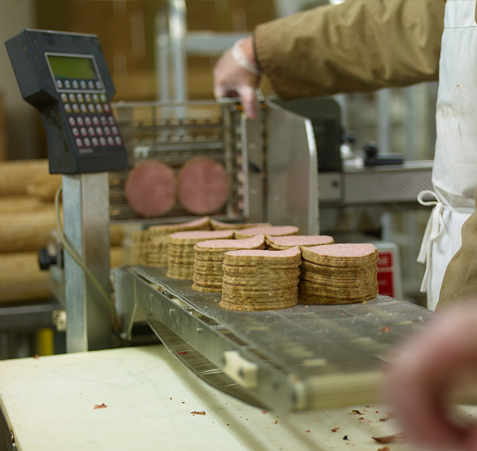 Establish a standard operating procedure – We internally develop and map out how the product is to be processed to develop a HACCP program for the product. Cost analysis – Determine processing costs by computing the cost of the recipe’s ingredients, the processing labor/materials and product yields. Clients often want to know a price at the beginning of the development process, but these 3 steps need to be accomplished in this order before we can establish cost. If you are interested in this type of service, please contact for more information.